There are two certainties in life – death and taxes. If you're an author, another certainty is Amazon. The Zon is the 600 lb gorilla in the room. If you want to sell your book, you're going to be dealing with Amazon sooner or later. It's hard to get accurate statistics but Amazon may have as much as 70% of the online book market wrapped up, with other retailers collectively making up the difference. It isn't just a question of dealing with Amazon or not. That would be far too easy. 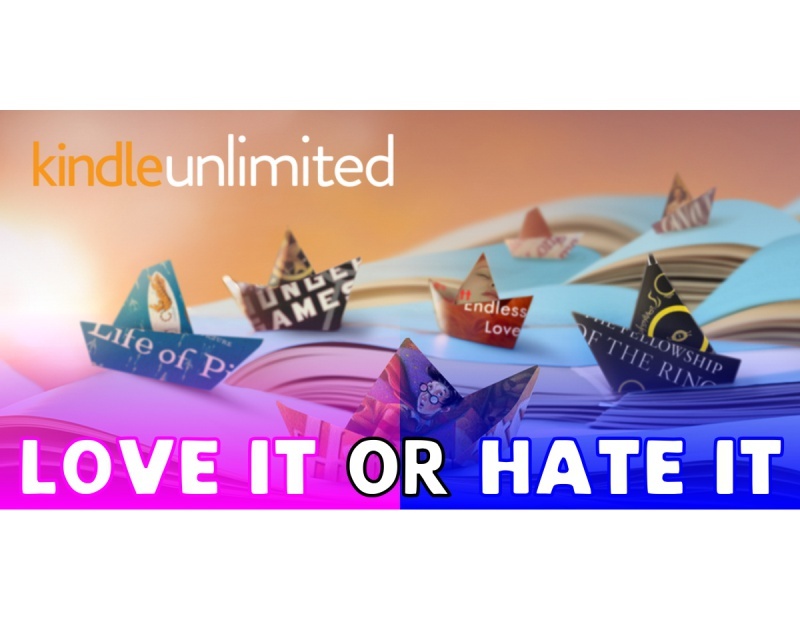 Amazon's subscription eBook service, Kindle Unlimited (KU for short), allows customers that subscribe for a fixed monthly fee unfettered access to the entire Kindle Unlimited library of eBooks. As an author, one of the big decisions you'll be making is whether or not you want your book to be included in the KU library. Once you're in, you'll get a small fraction of a penny for every page read from a subscriber. Get enough people reading your eBook in KU and this can soon add up. There's a catch, of course, which is the requirement for exclusivity. For the 90 day stint in KU, your eBook may NOT be available on any other platform or be downloadable anywhere else. It's Amazon's way or the highway. Being in KU can be a good thing for an author. Indeed, many authors report a significant portion of their sales coming from KU page reads. So, that's great, right? Well…maybe not. Just recently, Amazon deployed KU 3.0, the newest version of the platform. The jury is still out on what the exact impact this will have on the author community. As it’s a closed platform, nobody other than Amazon really knows how it all works under the covers. Unfortunately, many authors have been reporting a general drop in sales as Amazon has been tweaking various algorithms that determine how much to pay individual authors. If any significant portion of your income is derived from KU, then this can be a tough pill to swallow, since you really have no recourse other than to grin and bare it…or leave. Inexplicable drops in KU reads and/or income aren’t the only problems KU has been plagued with either. Anyone in the author community will be familiar with the ongoing problems the platform has had with scammers using various means to boost their page reads – depriving other authors of their fair share in the process. The more money the scammers skim off the top, the less there is remaining in the pot to distribute to legitimate authors. It isn't fair and people are crying foul left, right and center. The overwhelming perception is that Amazon isn't willing, or perhaps able, to do anything about it. Another problem with KU has to do with how page reads are recorded. Ordinarily, when someone flips through your book on their Kindle or other device, Amazon records that as a page read. The more they read, the more page reads are recorded and the more you get paid at the end of the day. Sounds simple, right? Enter Page Flip. It's a feature on the eReader device that allows a use to flip from one part of the book to another. If you’re a reader, this can be a very helpful feature, as you can skip back and forward to check on things as you read through the book. The problem is that this skimming back and forth doesn't register as a page read. If someone uses the feature to actually read through your book, which they can do, you don't get any credit for it because no page reads are recorded – nor do you get paid. It isn't something you can disable, at least not officially. This has led many authors to cry foul again, since they aren't getting the full benefit of being in the system, yet they are still required to maintain exclusivity. Just how widespread this problem is is hard to tell. Once again, it’s a closed system and only Amazon know for sure exactly what’s happening behind the scenes. So is KU a good thing or a bad thing? The truth, if there is such a thing, may depend on your perspective. If you’re making money, then you’re likely going to find it a good thing – for now at least. Whether it’s a good thing for the online book industry as a whole remains hotly debated. One thing is for sure: Amazon has created a mechanism that authors either love or hate, but you have to consider it one way or another. For many authors, it’s seen as something you just have to deal with if you’re going to be selling books online – a necessary evil, if you will. If you stay in KU, you may have to just put up with the fact you’ll be earning progressively less as the payouts are continually squeezed. If you leave, you’re not only depriving yourself of potential income but you’re benefitting the others that choose to remain, since the fewer authors there are, the more money there is to be shared between them. What do you think of KU? Is it a good thing or a bad thing? Share your experience in the comments below. Interesting analysis. Thanks, Chris. For all its faults, though, Amazon allows its little known authors to be discovered by having its SEs search for relevance in keywords, while others, like Kobo, go for popularity, which favors only big-name authors.